Carnivore is "the best thing to happen to Oak Park in a long time" (David Hammond), "incredible" (Vitesse98), with fish "stunning in its gorgeousness (Vital Information); "they are always doing cool things there" (teatpuller) and "their homemade sausage lunch with fresh giardiniera and caramelized seasonal vegetables makes me weep openly that there is beauty yet in the world" (me). Also, "they salve the throbbing open wound left when The Local in New Buffalo was torn from us last year." I can't think of many culinary Wunderkammern, and The Local was one - a perfect cabin on a hill under a tree with a steep side drive for farm deliveries, filled with gemlike tomatoes and crates of mushrooms and apples, bedecked with sausages and bouquets, hung with origin equations for every parcel of produce, stacked with local ciders and preserves, perfumed by applewood smoke, focused on the slow cure of smoked meats and crystal jars of bacon jam. It was like a diorama - a Thorne Miniature Room - of the best and most curious of the fields brought in for examination and illumination in the village. While it's missing the hill, Carnivore is in a magical little property just off of Marion Street, a deep tiled space with that same hardwood perfume and earthy trestles of produce, the meat and seafood cases like museum displays, the vegetables laid out confidently and casually, each with a story to tell. If the scientist-hosts were invisible, one might simply admire the quality of everything, leave a dear amount on the counter, and depart quietly. However, they are here, and they are hilarious, and they are Brad. Brad's team are tinkerers in the best sense, making new sausages and cured meats regularly - I had their first cayenne-laced capocollo, and it sang - and mixing and tasting condiments, and optimizing grill preps for whatever vegetable has just arrived, and they are gifted chefs. Working laterally in and beyond town, they are selling sandwich supplies to spots on Lake Street and catering luaus at Hala Kahiki ("we were Tiki long before Tiki was cool.") They have made Oak Park a better place. 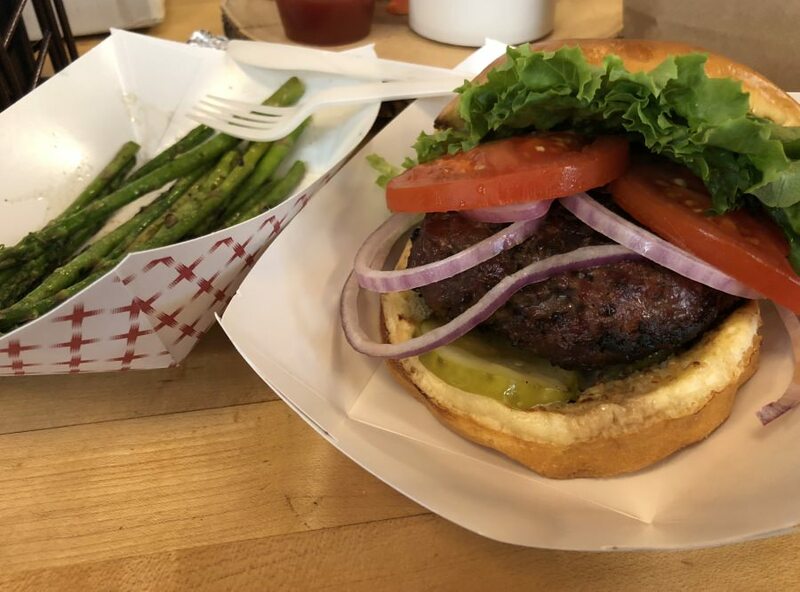 Carnivore may seem more like a Resource than a Restaurant but you would be missing something essential by passing up a bacon/beef patty burger on the block, or merguez with charred veg, or oyster happy hour in season. Some of the most memorable bites of the past two years for me have been at Carnivore. I find it worth the bespoke, smoke-scented pricetag every time, and this being my own neighborhood, I'm honored to use my nomination(s) on these guys in the best spirit of the program, hoping you'll check them out. I stand behind all of this. I moved to Oak Park in July and Carnivore is a regular stop for me. The Friday sushi in the warmer months is very well prepared with their top quality fish, as you stated they know the source and back story of most everything they sell, and Brad is eager to share his knowledge. I brought him my harvest of carolina reaper peppers this season and he seemed genuinely excited by them. They are a premium store and have premium prices, but I like to treat myself to their products when I have na itch to scratch. This place is great. Dreading the day the owner gets tired of subsidizing it. Due to intentionally changing both eating habits and trying to reduce overall spend, I've spent less and less time at Carnivore than I did, say, two years ago. But I was back there last Friday because time was running short and I wanted crab cakes. I have always found theirs to be reliable, if a bit pricey. But, all you need to do is put them in the pan! As usual, the crab cakes were fantastic. While there I noticed they had some kielbasa in the sausage case. I was thinking a few days before this that I hadn't found a reliable kielbasa within an easy drive. My dad worked a few blocks away from a place in Philly called Swiacki's that is, for me, tops when it comes to both raw and smoked "kelbo". I decided to grab 3 to throw on the grill for Saturday lunch. Boy, they were very, very good. I keep meaning to get back to buy a bunch more to put some in the freezer for my parents' next visit. 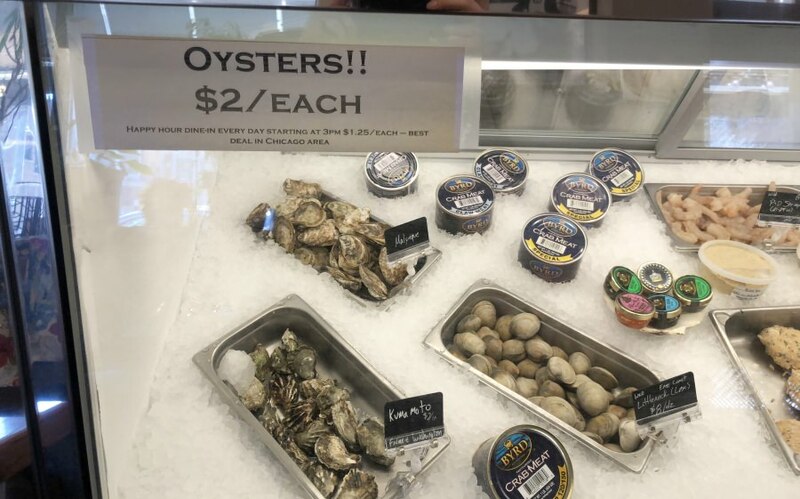 Oysters are in and delectable - eat late for a great value happy hour - and the asparagus is really on point right now as the seasonal side veg. Smoky bacon burger on carefully curated rolls and the only acceptable winter tomatoes around; this place can be trusted for breads off the rack or as part of lunch. They've also told me (unprompted) they are really working on serving dinners through to close, so my warning to find them only for lunch if you want hot food may be unnecessary. We discovered Carnivore last spring when our Glen Ellyn Gourmet Group decided to do a Spring menu featuring Rabbit. Our theme was ‘farm to table’ so we were in search of local sources, and someone in our group knew about Carnivore. I called ahead and we stopped off in Oak Park on our way home from the loop one evening. I had truly intended to only buy the rabbits. I asked the butchers to cut the rabbits up for me and while they did, I browsed the rest of their offerings. The shop is not large but there are so many goodies and not just in the meat case (which is incredible.... hello... it is called ‘Carnivore’), it maybe should be called ‘Ominvore’. On that particular day there were several lovely bunches of fresh ramps which I immediately scooped up, along with the fresh rhubarb. I then learned the story of how one of the guys at Carnivore had sourced these ramps. A few years prior, he had happened upon a field of ramps in front of a house in rural Indiana. He stopped and knocked on the owner’s front door to ask if she minded if he harvested her ramps? She did not know what they were and said, “oh, you mean those things that smell like onions when I mow them with my mower? Sure, take them all!” And, that then became one of Carnivore’s biggest sources of ramps which they use to supply a number of Chicago’s top restaurants every year during the season. As the butcher was preparing our rabbits, he asked me if I wanted the organ meat packaged up too. Since I had no immediate plans for them, I said no, and he then asked if he could keep them. When I said, “of course”, he was absolutely giddy, talking with the other butchers about what he might make with his windfall. I left there with 4 butchered rabbits, an armful of ramps, rhubarb and a few other delicious items. What I recall most is just how much the employees love food and what they do. Carnivore is absolutely amazing and I will be going back soon.